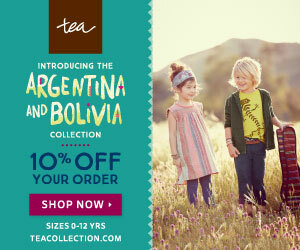 We are so excited to introduce Tea's new Fall and Winter 2015 collection inspired by Argentina & Bolivia! From the sophisticated style of the gauchos and traditional elegance of Cholitas to the passion of tango musicians and the wild color of las mascaras for Carnaval, Tea's newest collection pays homage to the people and rich culture of Argentina and Bolivia. Tea explored the vast terrain from the high Andes Mountains to the fertile Pampas region of Argentina. They explored the markets of La Paz, museums, and ancient churches and climbed the blue glaciers of Patagonia. They collected Bolivian blankets, postcards, folk embroidered belts and ponchos. They amassed so many memories, pictures, and mementos that embody the wanderlust spirit of their travels. And they can't wait to share them with you!